Join our 2019 Gutsy ‘Southern Alps’ Challenge in support of GI Cancer research. 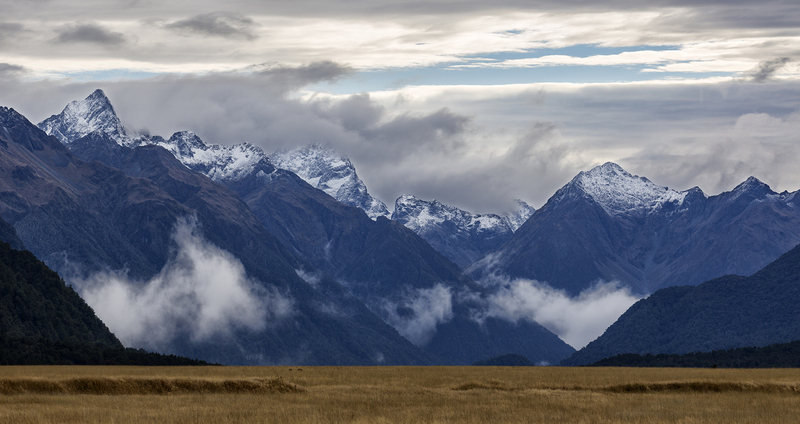 This adventure will take you up and over the magnificent Southern Alps of New Zealand over a week of trekking from 17-24th November 2019! Join our 2019 Gutsy ‘Southern Alps’ Challenge in support of GI Cancer research. 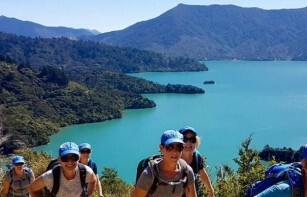 This adventure will take you up and over the magnificent Southern Alps of New Zealand over a week of trekking from 17-24th November 2019! This adventure will be led by Prof. Tim Price – Chair of the Australian GI Cancer Institute Board and one of Gut Cancer Foundations directors. As this is our inaugural ‘Gutsy Challenge’, we have partnered with our Australian counterpart. When joining a ‘Gutsy Challenge’ you embark on a remarkable journey to discover your inner philanthropist as you raise money to improve treatment options and ultimately life outcomes for the 5,000+ New Zealanders diagnosed with Gastro-Intestinal (GI) Cancer every year. At the same time you partake in an adventure of discovery … perhaps you’ll even discover how far your personal boundaries stretch as you take on this 70km mountainous physical challenge. Huma Charity Challenge, are our chosen adventure travel partner as they are passionate about providing off‑the‑beaten track travel experiences. 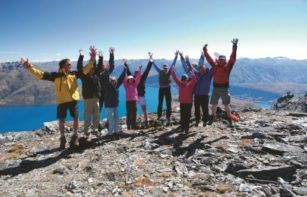 This adventure will provide travellers with exclusive access to one of New Zealand’s best trekking experiences and a region of great natural beauty. Huma Charity Challenge is a division of the worldwide adventure travel company World Expeditions. How far do I have to walk? 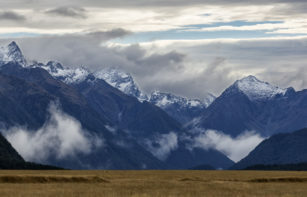 For this Gutsy ‘Southern Alps’ Challenge you will be walking 70km of the secluded ridges of New Zealand’s mountain range. Your team will comprise of a max. of 15 people and you will trek between 6km and 18km over 7 days to complete the challenge. What is involved in the Gutsy ‘Southern Alps’ Challenge? This Gutsy Challenge will run from 17-24th November 2019. You will trek with just with a daypack, and stay in comfortable twin share hotel/motel accommodation each night. Walks will involve between 6km and 18km each day – some of which is along stretches of beach. Prof. Tim Price – Chair of the GI Cancer Institute Board – is confirmed as our organisational representative on this challenge. Each team member has been set the challenge to raise $3,500 as part of their fundraising efforts. Participants will have until the end of December 2019 to achieve their target. Based on the experience of 50+ previous Gutsy Challenge Adventure participants this target is often well exceeded and we will also provide support to help ensure you reach your goal! What will the funds I raise be used for? All money raised will be used to fund Gastro-Intestinal (GI) clinical trials research to put New Zealand patients on international trials led by Australian Gastro-Intestinal Trials Group (AGITG). Who will I walk with? This adventure is available to a max. of 15 people, including your GI Cancer Institute representative. 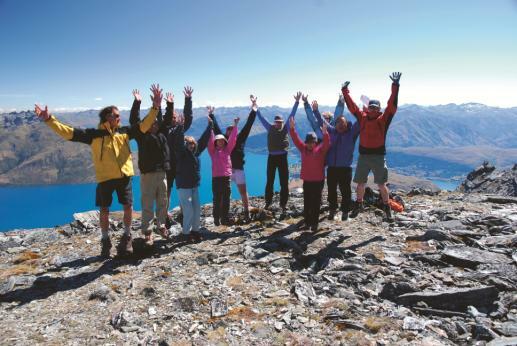 As such, you will join a small group to undertake this Gutsy ‘Southern Alps’ Challenge. From past experience people join our Gutsy Adventures as they want to achieve personal goals, whilst also making a difference & improve outcomes for GI Cancer patients and supporting clinical trials. About Huma & World Expeditions – The GI Cancer Institute partners with Huma Charity Challenge, a division of World Expeditions, to deliver exceptional travel experiences as part of our Gutsy Challenge Adventure program. They look forward to helping you explore our amazing wilderness ‑ the right way. You will be sent an information pack and a follow up call. Mentoring on fundraising, training tips, a conference call with other trekkers are available. This includes how to use GCF’s EveryDayHero fundraising page to enable the best funds raised. Thank you for helping us ‘Kick Cancer in the Guts’! When joining a Huma Charity Challenge you embark on a journey to discover your inner philanthropist – fundraising for a cause that is important to you. At the same time you partake in an adventure perhaps even testing personal boundaries as you take on a physical challenge! We appreciate any support you can give to help fund clinical research and raise awareness of GI Cancer.